Listen to, or read a transcript of, a podcast interviewwith Biosystems Analytics’ and Python for the Life Sciences co-author, Alex Lancaster. The interview was recorded for our digital publisher Leanpub’s author podcast series, by Leanpub co-founder Len Epp. In a wide-ranging discussing Len discussed Alex’s career, funding in science, evolutionary biology, the state of the book publishing industry and many other things. The podcast was recorded back in November 2016. Having started seeing some more live music again recently, I was inspired to repost some music-related stories from the vault (originally on my old, now defunct, website). 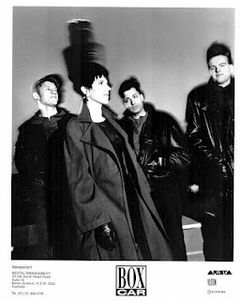 The first is an interview from back in the 1990s with the then Brisbane-based electronica act, Boxcar (they since changed their line-up and moved to Sydney). Boxcar went on to release a follow-up album Algorhythm in 1996 and reformed around 2007 for some live dates. Boxcar’s current activities can be found at their website. It’s interesting to see how much has changed, back then there was a real divide between “dance music” and “rock” in popular music, which seems to have been entirely erased. An Australian dance band? That actually play live? I don’t believe it! A common reaction when people hear about Boxcar. Alex Lancaster recently spoke with vocalist and guitarist David Smith and keyboardist Brett Mitchell. Mickey von Dassow is a biologist who is interested in exploring how physics contributes to environmental effects on development. He created the website Independent Generation of Research (IGoR) to provide a platform to allow professional scientists, other scientists, non-scientists or anyone to collaborate and pursue any scientific project that they are curious about. 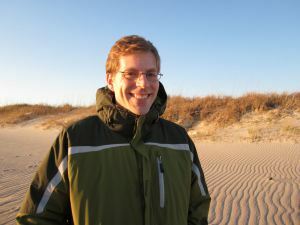 I talked to him recently about his new site, citizen science and the future of scientific research and scholarship.